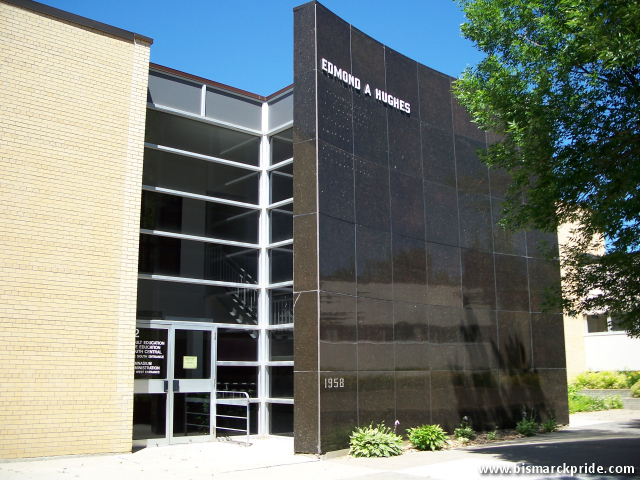 Edmond A. Hughes (sometimes spelled as “Edmund”) was a local entrepreneur and real estate investor who is probably best known for co-establishing Hughes Electric with his father, Alexander Hughes. Together with local architect Arthur Van Horn, Hughes commissioned the construction of many of the buildings built between the 1910s and 1930s, including the Prince Hotel. Hughes Junior High, now Hughes Education Center, was named for Edmond Hughes, who donated the land for the school. He had previously donated the adjoining land for Hughes Field, in 1925, for recreational purposes.